I have to be honest, this year has really slowed down my TpT production. Being on 2 classes might seem like it is not extra work, but it certainly feels like it! Now that I am on holidays I have found the time to finish off a couple of projects I have had on the back burner. The first of them is this 2D Shape packet. You will find posters to display in your classroom, no prep trace the shape sheets as well as no prep find and colour sheets. 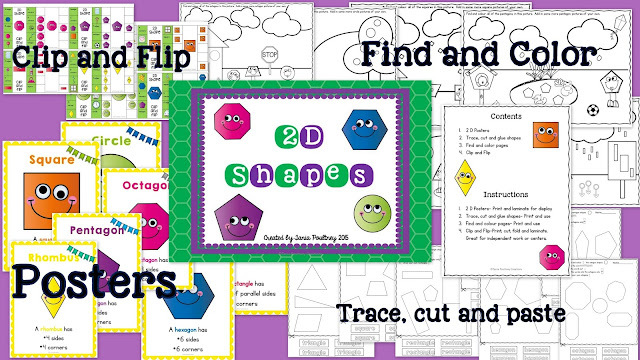 Finally a Clip and Flip 2D shape self correcting cards, these can be used in centers for consolidation. 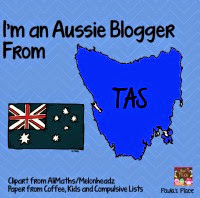 This packet allows students to learn about the attributes of a 2D shape, identify and recognise 2D shapes as well as incorporating some fine motor skills. Just click on the pic to get your copy! Healthy Eats for Teachers linky!